Adam’s favorite comic book detective knows that a mystery can appear anywhere. This is a lesson Adam learns when money disappears from the Stoney Brook Fire Company, where he volunteers. But who would steal from the firefighters? Can one of his new friends be the culprit? Meanwhile, Courtney tries to make things right after the mess she made on Halloween. She balances her time between volunteering at Willow Lakes Retirement Community and taking her wild pup Sapphie to obedience classes. But inspiration strikes in unexpected places, and Courtney finds herself captivated by an acting group that visits her school. Does Sapphie have what it takes to earn the canine role in the play and perform alongside Courtney? Sapphie and Zeph add their own capers to the mix as they find new ways to escape and discover what exactly is hiding in the chilly autumn woods near their home. 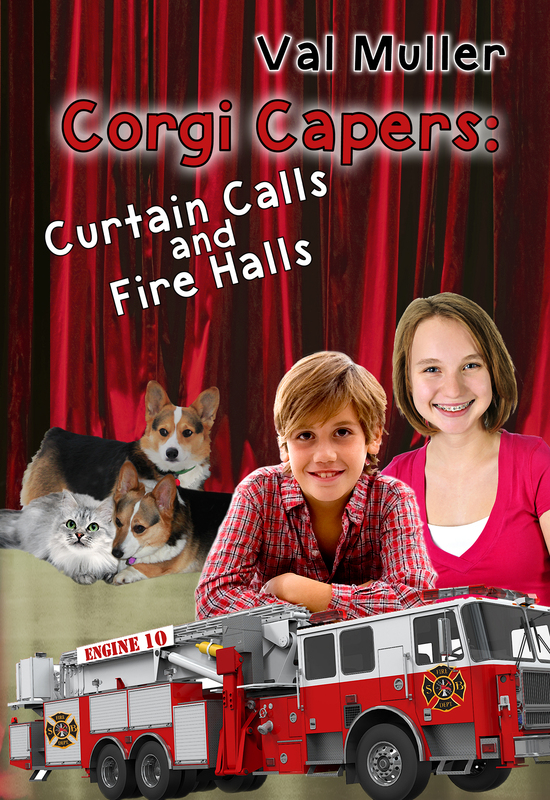 In this inspirational chapter in the Corgi Capers series, Adam and his friends discover exactly what makes the heart of a hero. 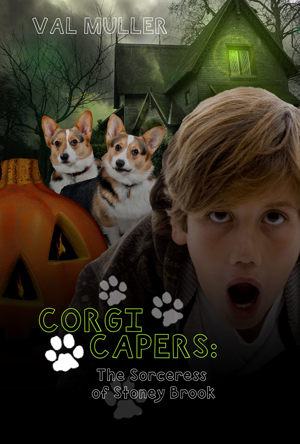 Corgi Capers: The Sorceress of Stoney Brook embroils Adam and Patrick in the scariest caper yet. The old Frostburg house has new tenants, and to Adam and Patrick, they look like witches. Belle and Cassie dress elaborately, speak strangely, and seem to know way too much about the Hollingers. Adam and Patrick read about how Logan Zephyr, their favorite comic book hero, defeated an evil sorceress and wonder if they, too, are facing real witches. When Belle asks Adam to rake leaves for her close to Halloween, Adam decides it’s a great excuse to investigate the house—or is it the perfect way for the witches to cast a spell on Adam and his best friend? Available at Amazon and DWB Publishing. 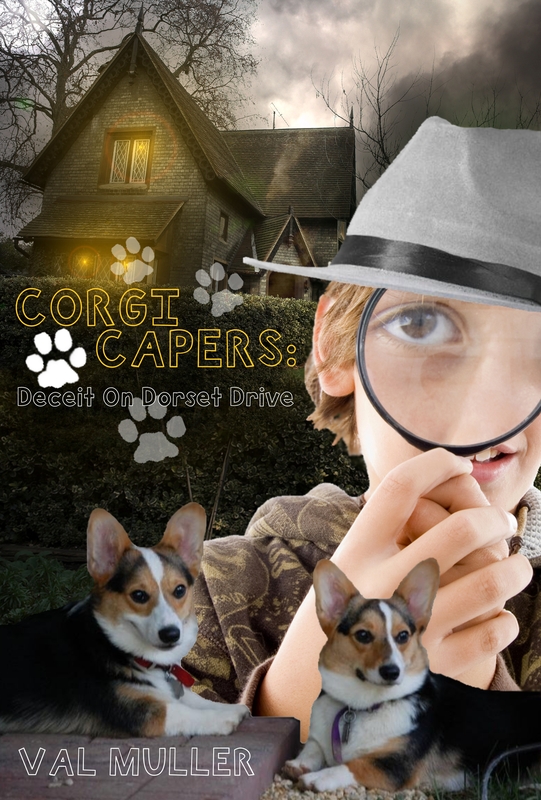 Corgi Capers 1: Deceit on Dorset Drive is a middle-grade mystery novel targeting readers aged 8 – 12. It’s a fun read packed with humor and suspense, and independent readers will enjoy it just as much as parents reading it to their children. Fifth grader Adam Hollinger was looking forward to a calm summer: reading his favorite comic books, practicing with his all-star baseball league, and avoiding his mischievous sister. But a series of burglaries disrupts his quiet vacation. When his father’s work computer is stolen, his neighbor’s jewelry is taken, and his own house is ransacked, the adults become stumped. It’s up to Adam, and his two new corgi puppies, to set things straight. Adam shivered and turned on his flashlight. He felt like it was Halloween. Zeph, on the other hand, was not afraid. His nose took over so that the darkness didn’t bother him. “You’re braver than I am,” Adam admitted as he shined the flashlight at the oak – just to make sure it was still an oak. “Do you mind?” asked the jogger in an energetic – almost nervous – voice. You can buy the book on Amazon.com, directly from the publisher, or download a copy for Kindle (Amazon Prime members can borrow for free! ).